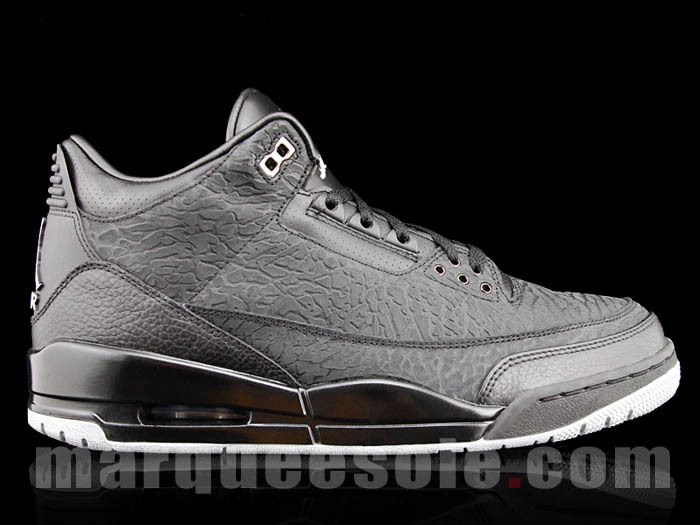 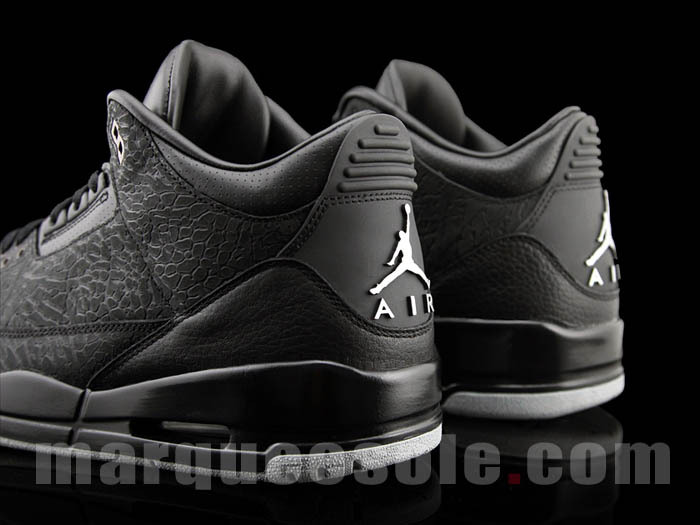 The Jordan Brand resurrects their "Flip" Retro 3 concept for a new black-based release due out later this year. 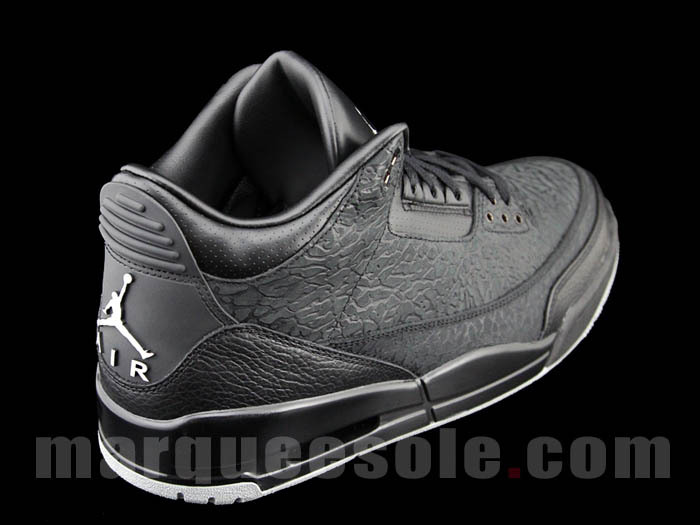 The Jordan Brand resurrects their "Flip" Retro 3 concept for a new black-based release due out later this year. 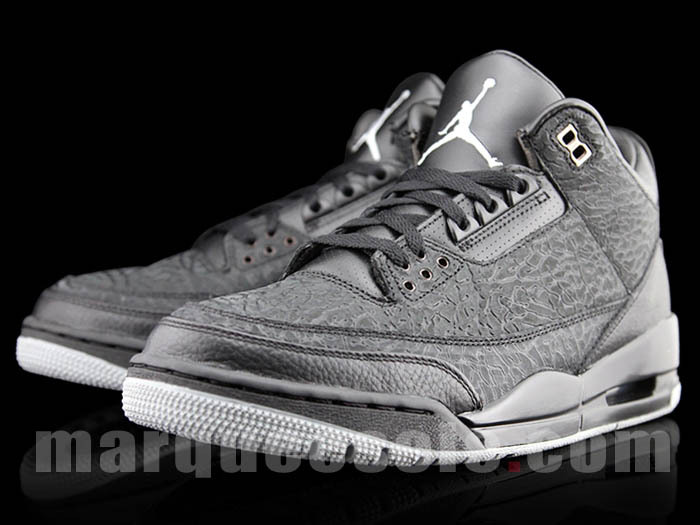 This pair features a cement print-etched black leather upper with full-grain overlays wrapped around the toebox and heel. 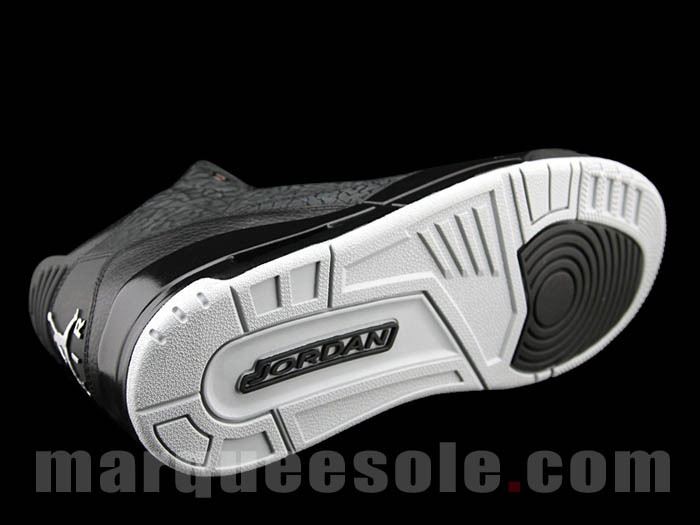 Metallic silver accents the look throughout, while a black midsole and white rubber outsole finish things off below. 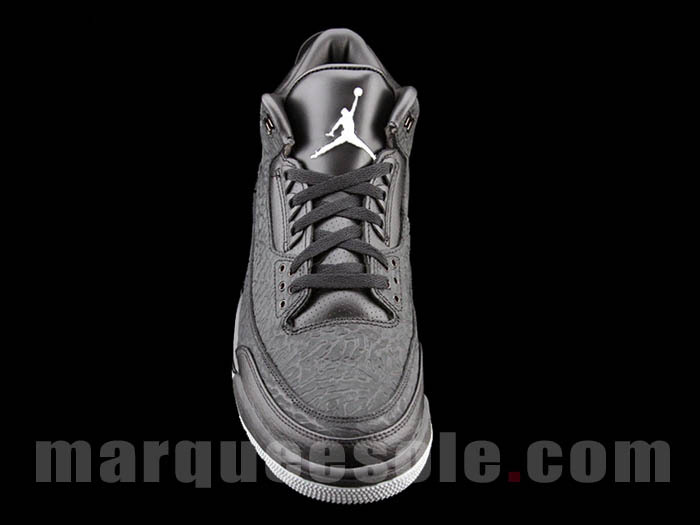 No word on an official release yet, but stick with Sole Collector for updated.